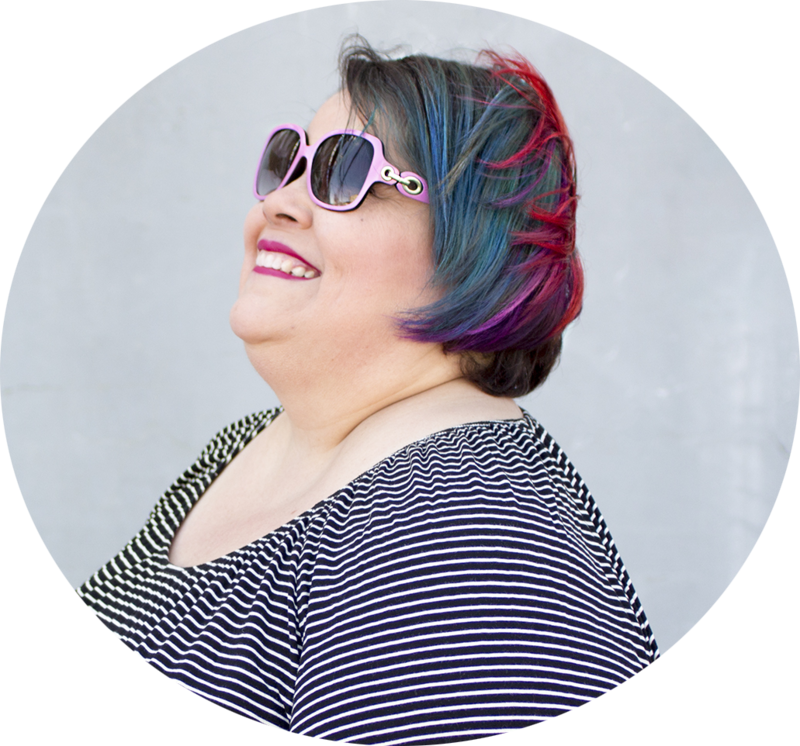 Recently, Lane Bryant reached out to me with an amazing opportunity that I couldn't pass up. They have created a pant called The Allie Pant that has a universal fit. And get this... they wanted me (yes, me!) 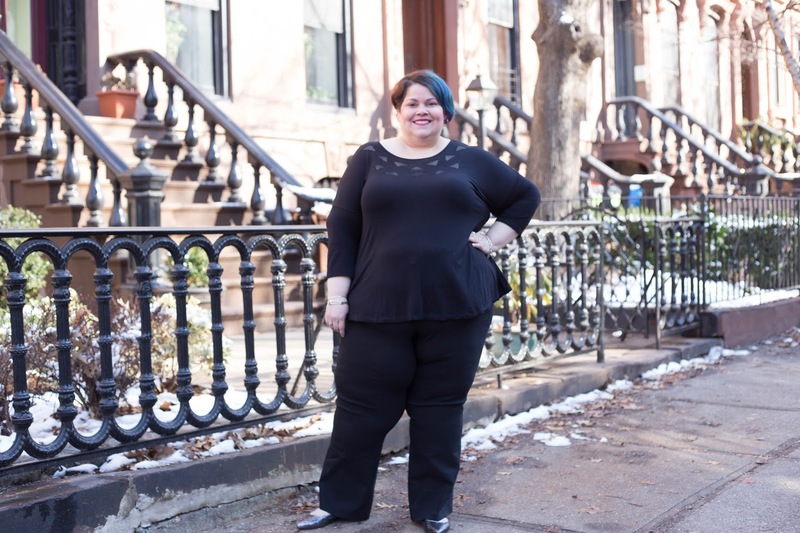 to partner with The Instagram Wives to show how the pants look on different sized bodies/shapes. With me being a size 26/28, this is major! Women my size are not really seen front and center so kudos to Lane Bryant for being open to having a woman my size in a campaign. I legit want to cry as I type this because this means the world to me. 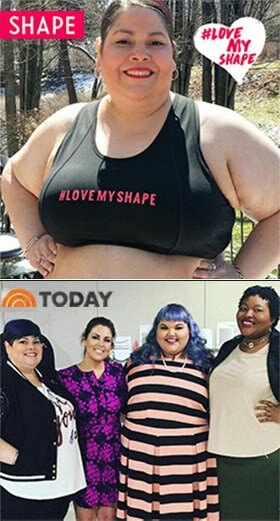 Just to be seen and alongside women who are under a size 22!?! WHAT?!? Man, let the Big 22+ Girl Revolution begin! It's about time. The Instagram Wives and I had a lot of fun shooting for this project. Sandra is a size 20, Darlene is a size 18 and Jami is a size 16. We're also all different shapes and heights. 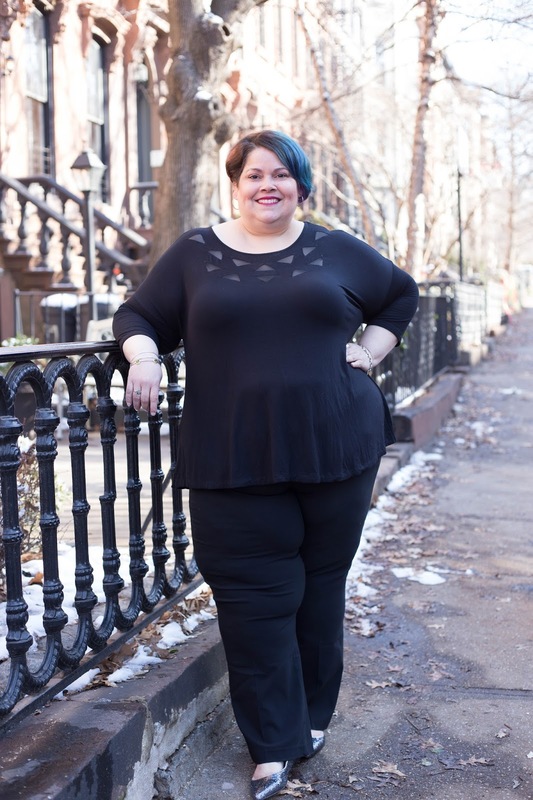 With me included, it felt like we really showcased how the Allie pant works for different bodies. I have mentioned many times on this blog how I have issues with finding pants that fit well so I was anxious about trying these on. I requested a size 28 but after putting these on, I think I could have sized down to a 26. The fabric is very stretchy but not thin at all. Very comfortable and I love the wide elastic waist coupled with a zippered front. I love that the pants are mid-rise and they fit so well on my hips and were not tight in the calves area at all. With that said, I think these are more of a boot cut silhouette and I would have loved a more tapered fit in the calves. I was surprised that the length was a bit long for me. I requested the average length and I'm 5'7". The waist is a little big on me but the wide elastic inner band does help somewhat in keeping the pants up. However, with a 17 inch difference between my waist and hips, I think I am still going to need a belt for these pants. All in all, I like The Allie Pant. Kudos to Lane Bryant for making an effort to better the fit of their pants. I'm willing to try the Allie pant in different colors and prints. That's how comfortable they are. And at the end of the day, comfort is important to me. I paired the Allie pant with their 6th & Lane Tee with Mesh Cutouts. I love this top. It's lightweight, comfortable and the mesh cutouts offer a chic detail to it. I'm wearing a size 26/28 in the top. 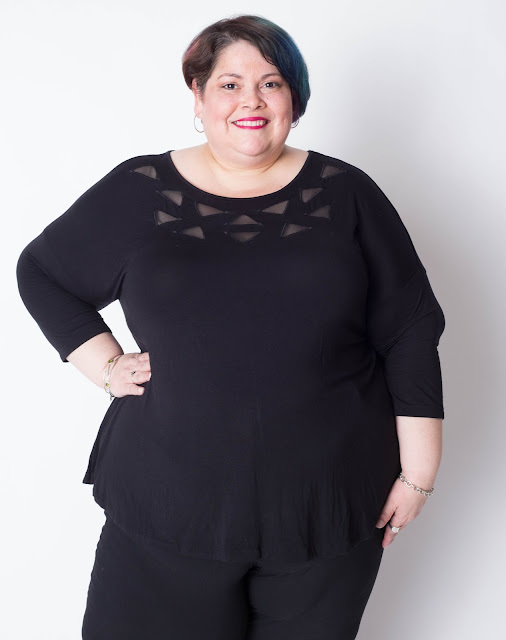 So make sure to check out Lane Bryant's Facebook and Instagram channels to see more of me and the IG Wives as well as learn more about The Allie Pant. **This is a sponsored post but all opinions are my own. What a beautiful group of amazing women! Kudos to Lane Bryant to being size inclusive...I'm excited to try the pant myself! Great post featuring some beautiful ladies?